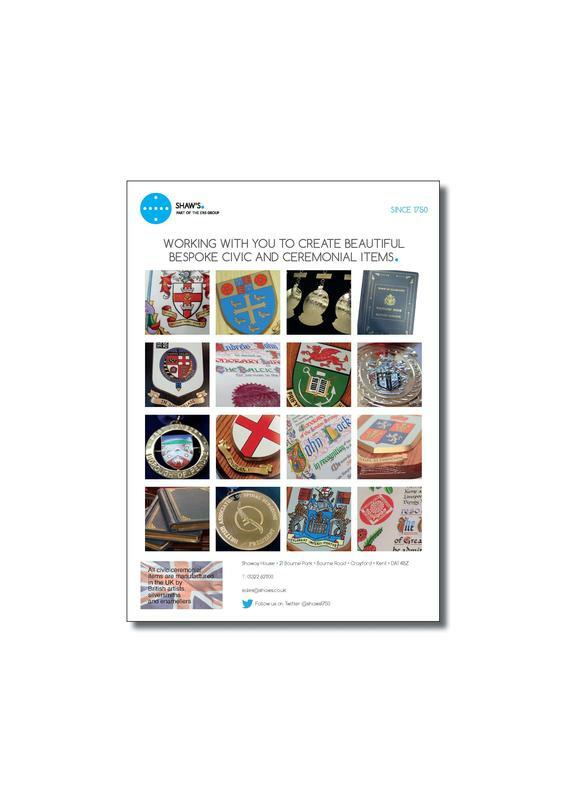 For the first time we have compiled all of our Bespoke and Traditional products and services in one brochure. We're delighted to be able to show our clients the myriad ways we can work with you to create beautiful bespoke civic and ceremonial items. Request your printed copy now by emailing sales@shaws.co.uk. Electronic copies can be downloaded using the link below.